What Falcons fans need to know as Air Force tries to end a weekend above .500 for the first time since its season-opener. Who, where, when: New Mexico (4-3, 1-1 Mountain West Conference) at Air Force (3-3, 2-1 MWC), Saturday, 5 p.m. Mountain time (7 p.m. Eastern). TV: Root Sports (Tim Neverett and Sed Bonner have the call; check here to see if you get the game). Gambling is illegal in most states: Air Force is an 11-point favorite. 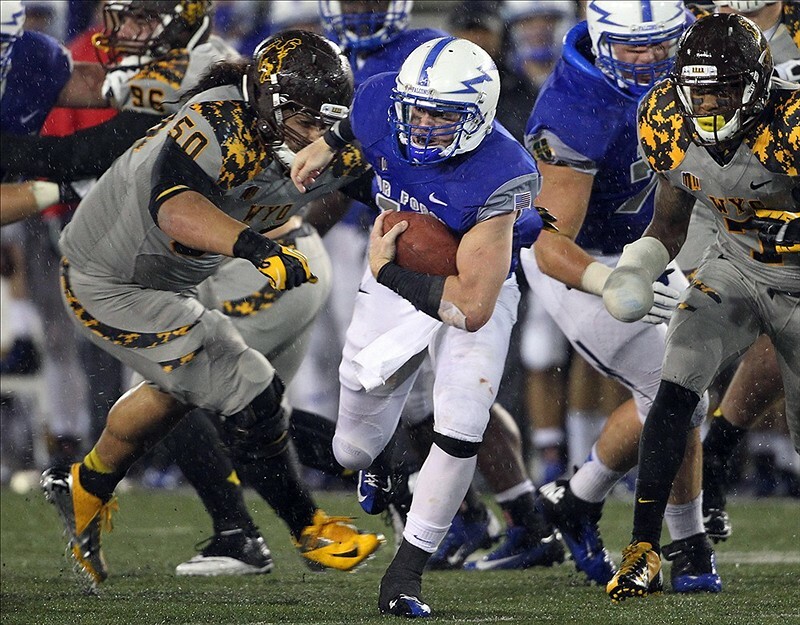 Rising from the training table: Air Force senior running back Cody Getz practiced Wednesday, but his status is still unclear for Saturday’s game thanks to an ankle injury suffered against Wyoming last week. Head coach Troy Calhoun told The (Colorado Springs, Colo.) Gazette that senior quarterback Connor Dietz, nursing a variety of ailments, is doing “better,” and fullback Broam Hart (wrist and knuckle injuries) was working through the pain, seeing whether he could carry the football. No solid status updates on any of the backfield, with Dietz still the most likely to play. Little big men: The Gazette’s David Ramsey on Air Force’s successful but small offensive line — powering the nation’s premier run attack through schemes and angles instead of bulk. Scouting the Lobos: Kasey Carrier had 161 rushing yards and scored two touchdowns in the Lobos’ 35-23 win in Hawaii on Saturday. Freshman backup quarterback Cole Gautsche added a 104 yards on the ground, including a 76-yard scoring run. Senior quarterback B.R. Holbrook is one of eight returning offensive starters from last year. The New Mexico defense, under Davie’s guidance, has forced 16 turnovers this year — three more than all of 2011.